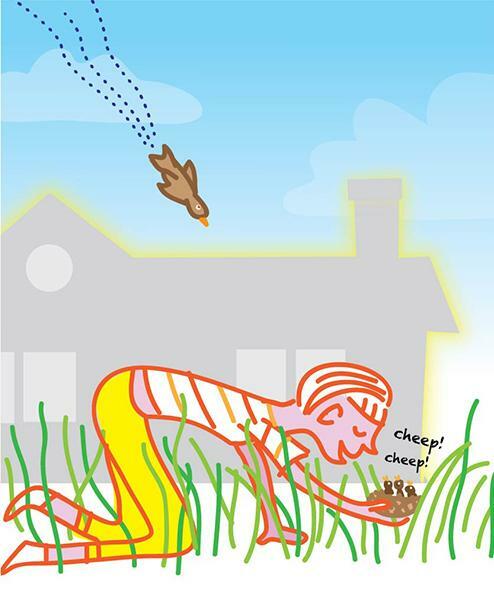 Nesting birds on the ground in your yard? What kind of bird does that? We love this humorous essay many of us can relate to. When it comes to finding out where the birds are nesting in your yard, sometimes info is gotten the hard way. Then It Struck Me and Not Very Gently, by Murr Brewster for The Christian Science Monitor.